Harry Potter and Quest to the Unknown. In the second week of January I had my regular call with my publisher during which she shared the great news that my debut novel Quest to the Unknown beat J.K. Rowling’s Harry Potter for a brief moment on the Amazon bestseller list. To be quite honest it didn’t register immediately. Only when we came to the end of our call, I thought: did she just say Harry Potter? When I addressed the topic again she confirmed what I could hardly believe: I did beat this incredible popular book. After I published this exciting news on Social Media, some people asked me what Quest to the unknown has in common with the famous series of J.K. Rowling. If you look at both books (“Drama and Play Anthologies”) there are indeed some similarities. 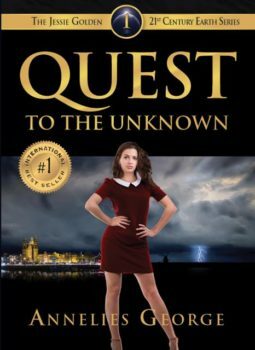 Quest to the Unknown and Harry Potter are both based on fiction, there is a leading character on a mission, it’s a story told in different parts and there is way more to the story than meets the eye, particularly in the field of the paranormal. But that’s about it. Quest to the Unknown, part 1 in the Jessie Golden Saga, is set in today’s business world, not in a world of fantasy. The onset of climate changes and the increasing aggression in our society are the premise of the series. In the end it will lead to a global catastrophe of immense magnitude with only a few survivors left that need to build up a new life on a totally destructed planet. Basic conveniences such as electricity, mobile phone, Internet and so on will all be gone. Which brings me to the main differences between both books; while the Harry Potter tale for sure can’t happen in reality, Quest to the Unknown might actually occur theoretically, although I don’t hope so! The working of the Theory of Quantum Physics and the effects on our everyday life are certainly no fiction in my point of view (see the video’s I posted: Our Connection with the Earth and World peace and Quantum Physics). If people don’t discover what really matters in life and neglect to use the most powerful light within (called love) it could well be that in the very long run (I’m talking centuries!) something drastic might occur and the Earth will evolve, like it has done billions of years ago (i.e. Ice Age). Furthermore I deliberately chose a female as the heroine of the story instead of a male (i.e. Harry Potter in J.K. Rowling’s work), actually multiple females. Why did I do that? For the very simple reason that women today are very strong, developed and intelligent individuals and if I had to pick a protagonist, it better could be a female or even better, multiple females! But I am also convinced that the strong support of a male can bring out the best in a woman. Although the females in my story are strong enough to complete their mission alone, they’ll find strength in the support of some men, bringing everything back in balance again! 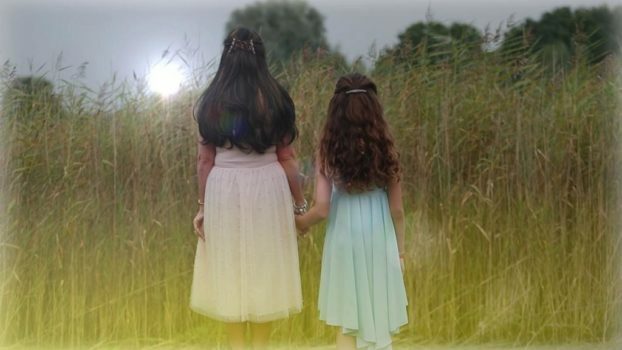 Watch the book trailer to learn more about the story and background.